After seeing Jonny's and Amy's gorgeous grilled veal tongue, I was inspired to make something grilled, in the sorta-woulda-coulda-sorta Korean vein. 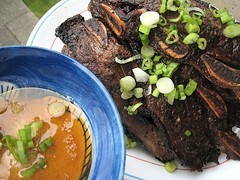 See, I had short ribs in the fridge, cut thin flanken-style, and my first thought was kalbi. I had miso paste in the fridge, so might as well use the miso. 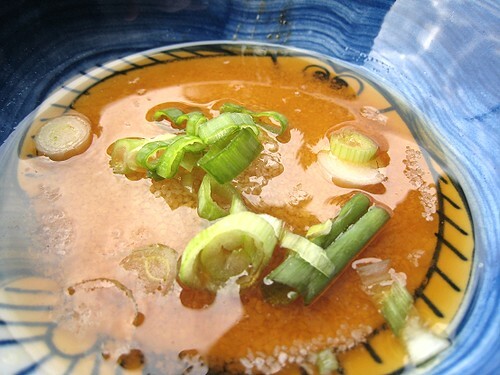 I made a paste of miso, honey, soy sauce, rice wine vinegar, black pepper, and a touch of sesame oil. Grilling was not an option because of laziness. We got home and had about 30 minutes to prepare dinner. I didn't want to go through the grilling routine, waiting for the grill to heat up. I put the ribs on the skillet and waited for them to caramelize. Top with chopped up green onions, dip in the sesame oil-salt mixture, squirt with lemon, serve with rice, and it's dinner in under 30 minutes. As for the tongue part of the inspiration, we're working on it. Oh beef short ribs, how I do love thee. whoa! this looks absolutely amazing. I have some short ribs that have been waiting for use in the fridge for a month now. Thanks so much for the shout-out, but this one is a WINNER!! 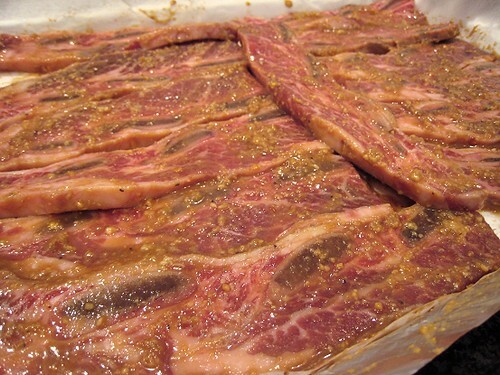 Those shortribs look really tasty! Hi, I discovered your blog and the fact that you're a fellow Vancouverite! Cool blog! 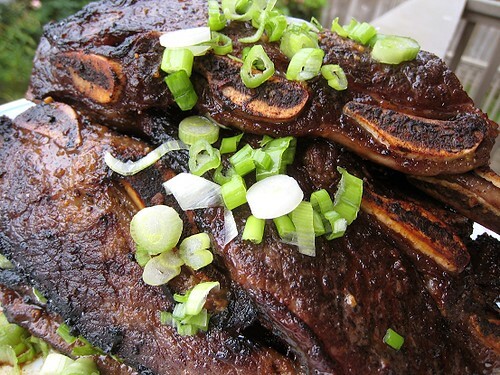 Short ribs are my downfall...I could eat a huge pile of them. Yours look finger-lickin' good!